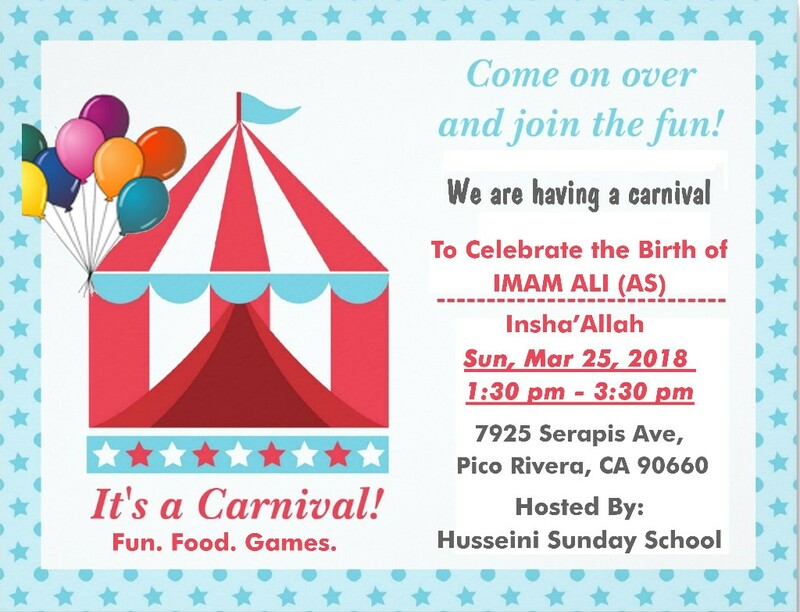 This Sunday, our Husseini Madrasah is hosting a Carnival to celebrate the birth of Imam Ali (AS). Please see the flyer below. Our Madrasah students have worked hard and with much excitement to prepare for this carnival. Please come show your support to our students and also have a great time. We look forward to seeing everyone on Sunday.